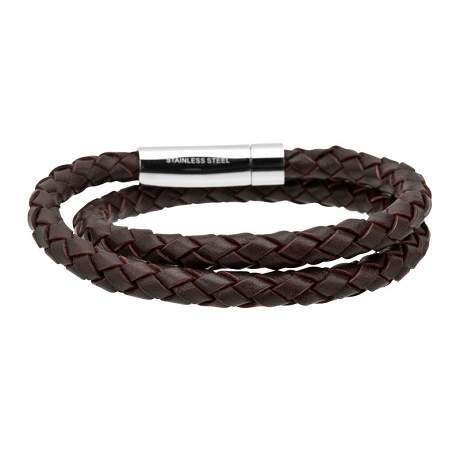 Wrap this braided men's leather bracelet around your wrist and step out in style. This classic brown double-wrap style transitions easily from casual gear to formal attire. One 17" braided strand of leather is long enough to wrap around twice, and accented by a highly polished steel clasp.